Establishing a healthy code review process can help address these issues by reinforcing the need to write readable, maintainable code. 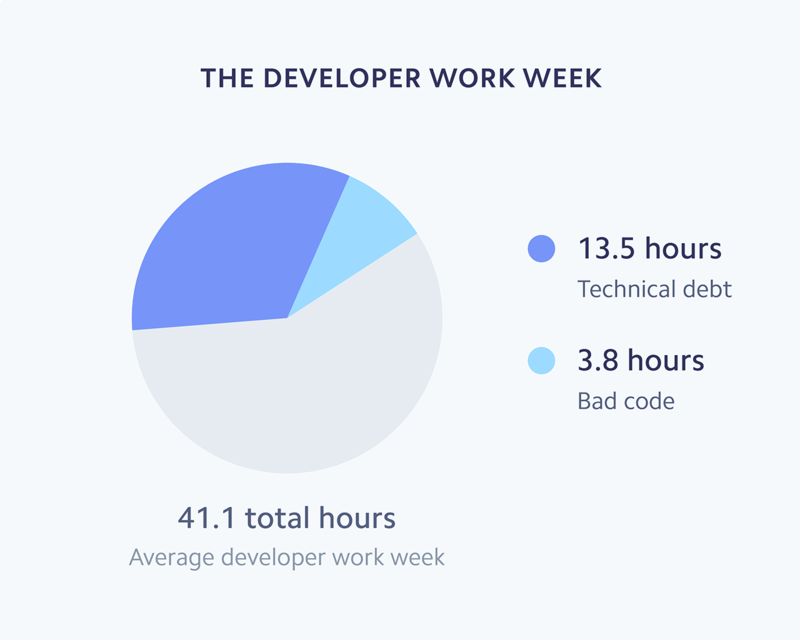 We’ve talked about some of the benefits of code review on our blog, but Stripe’s study brings into focus the economic impact of bad code. Understand your total costs. 59% of developers strongly agreed their companies spend an excessive amount of time fighting with bad code. Tech debt needs to be addressed, and you can leverage our code review as a service or outsource support to complement your development teams. When evaluating the costs and benefits of bringing on added support, remember to account for the opportunity cost of tech debt and maintenance issues, as well as the negative impact on team and personal morale. Hire additional development support. The Stripe study isn’t asking if you can afford to hire more developers — it’s asking if you think you can afford not to. Writing high quality code takes time, and with upcoming deadlines and competing priorities, 79% of developers felt they weren’t given sufficient time to fix poor quality code. One way to responsibly scale your development resources is to use our network of on-demand reviewers. Prioritize your developers’ time. Lastly, not all developers enjoy or excel at maintenance tasks. Specialization can help teams become more efficient, and it can also lead to happier, more productive developers. Work with your development team to identify the right mix of time spent writing new code and time spent maintaining it. As always, we’re here to help. Let’s work together to improve code quality at your company, and help your developers write better code. Sign up or book a chat with us today.